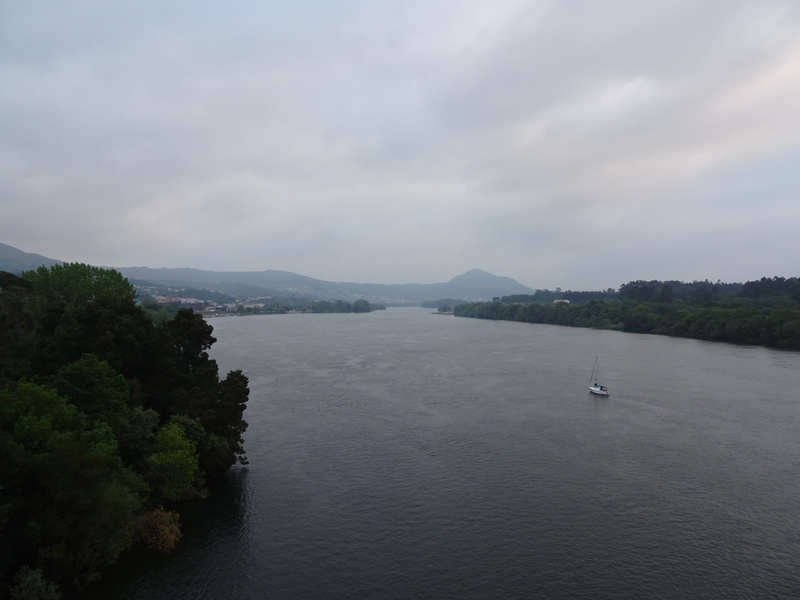 The Rio Miño separates Spain and Portugal. It’s banks spread open a half mile wide as it approaches the sea. There’s a ferry across the mouth that pilgrims use to cross. There’s a bridge fourteen kilometers inland that Daya and I walk to. Fourteen there, fourteen back along the other side, but unbroken lines of footprints carry weight in my heart. The border is barely marked on the bridge. There’s no guardhouses, no police, just a sign and a small plaque in the middle with an E for España, a P for Portugal, and a line between them to mark the border. I lean over to look at the muddy water swirling back and forth between countries as it drifts out to sea. I don’t say goodbye to Spain. I leave without ceremony, only stopping to whisper that I’ll be back in a four or five hundred miles. The Spanish bank watches me from across the river as I walk back toward the ocean. I nod at it like an old friend. The next time I set foot in Spain, I’ll be days away from the southern tip of Europe. Posted in Europe North to SouthTagged Camino Portugese, ENS, Europe North to South, featured, Portugal, SpainBookmark the permalink. I see in your writing here that the end of your proposed journey is becoming more real to you now.